Engineers and researchers from the University of Minnesota, McAlpine Group have published a new document this week showing the process of 3D printing a bionic eye prototype which is currently under development. 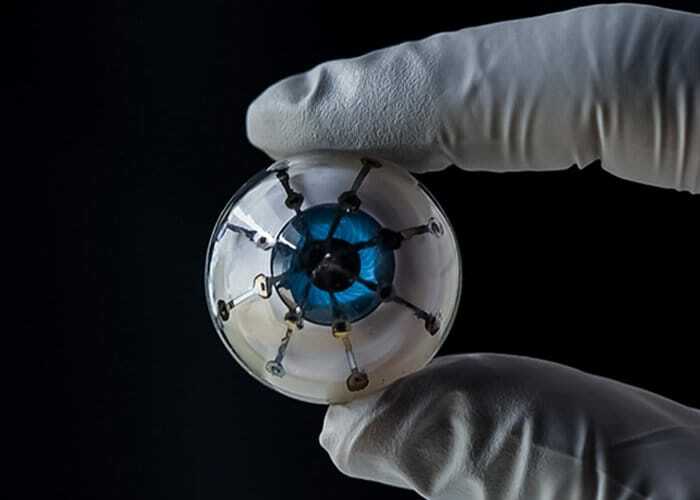 The paper published this week in the journal Advanced Materials, reveals more details about how the synthetic eyeball was created using the latest 3D printing technology. Watch the video below to see the eyeball 3D printed with photodetectors allowing it to detect light. Researchers start with a hemispherical glass cone, used as a 3D printing canvas to create an array of 3D printed photodetectors. Silver nanoparticles are used as conductive interconnections, and layers of semi-conductive components helped convert light into electricity. Finally, liquid metal was used to print cathodes on top. “The 3D-printing process for directly and fully 3D printing an array of interconnected semiconducting photodiode (light receptor) devices on a glass hemisphere. “ the whole 3D printing process to create the prototype bionic eye takes roughly 60 minutes and uses the latest 3D printing technology but still only generates a relatively primitive bionic eye.